Fall is near, you guys. Photos of pumpkin spice lattes are already buzzing on social media, reminding us that it won’t be long before crisp air, crunchy colorful leaves and cozy sweaters replace the hot, humid days we’ve been suffering through this summer. 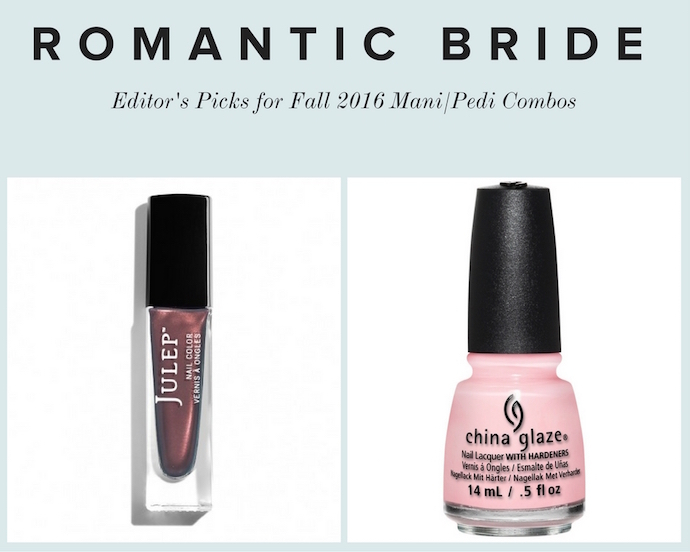 But just because you’ll be slipping your toes into a snug pair of riding boots instead of strappy sandals doesn’t mean your feet don’t deserve a good pampering along with your nails! 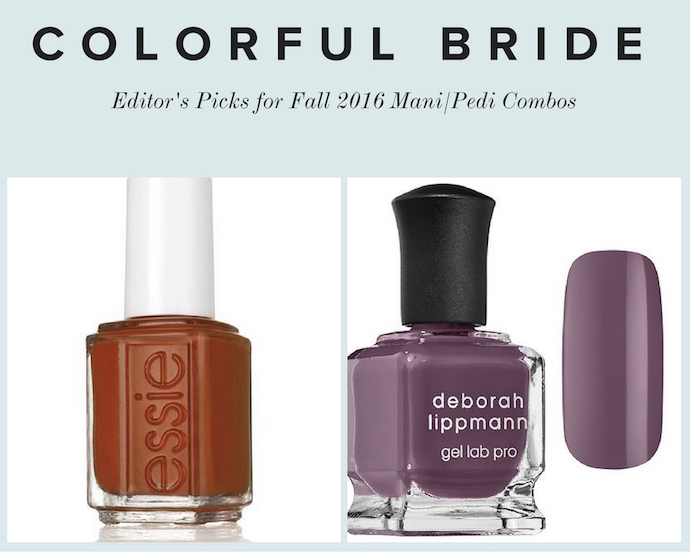 For one of the most colorful times of the year, here are five festive mani/pedi combinations for you to try this fall! 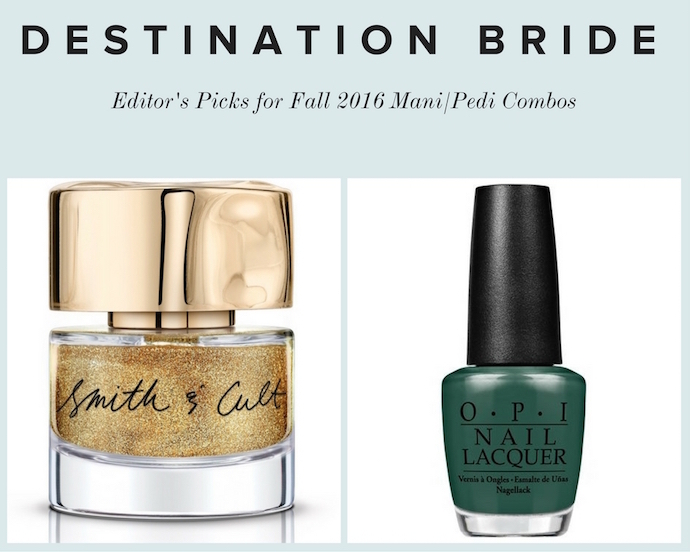 Bridge and Tunnel by Smith & Cult: As you jet off to somewhere warm and sunny, you will be shimmering with delight in this sparkling gold polish. 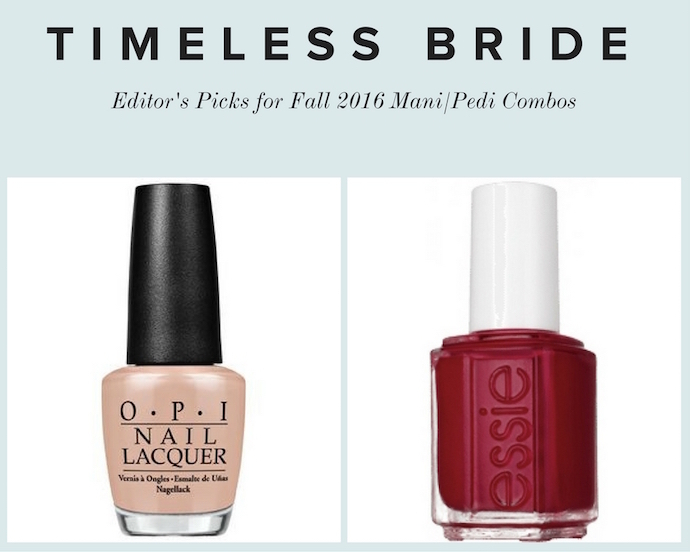 Everyone wants to feel their best on their wedding day, and you’ll feel like a million bucks when your fingers are dipped in gold. Available at Smith and Cult for $20. Stay Off the Lawn by OPI: This lush polish has us dreaming of somewhere tropical. 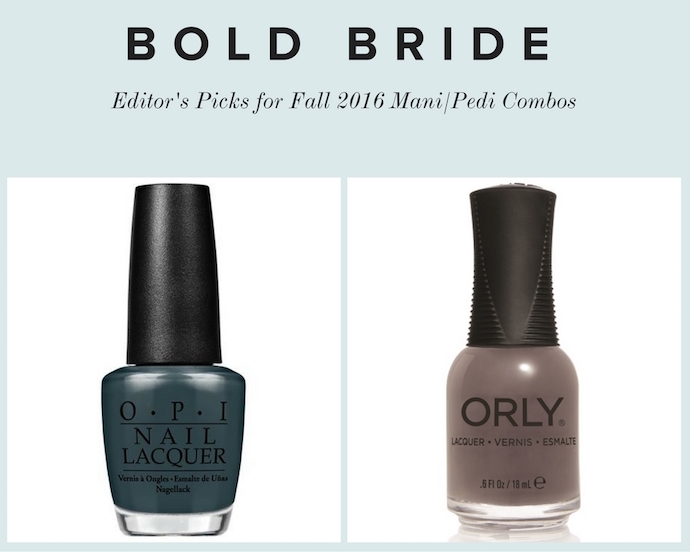 With a vibrant green color on your toes, you’ll be itching to get your feet down the aisle and into the sand where you can relax with your newlywed and celebrate in style. Available at Sally Beauty for $9.99.